Learn at the Skills Hub! 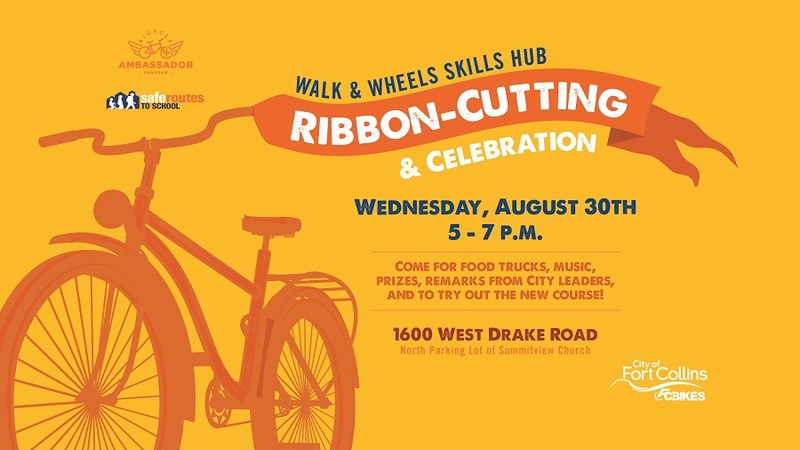 Interested in working with an instructor at the Walk and Wheel Skills Hub to learn how to navigate the course, and safety tips for riding/walking around town? Thursday, October 4, 4 p.m. – 6 p.m. Registration is optional. If you want to receive updates about the session you can register. Otherwise, just feel free to show up between 4 p.m. and 6 p.m. and an Ambassador will be available to assist you. If you plan to ride, please bring your bike or helmet. You can also check out a Pace bike share bike at the Hub if you don’t have your own bike. The Fort Collins Walk and Wheel Skills Hub is located at the intersection of W. Drake Rd. and Dunbar, off the Spring Creek Trail. 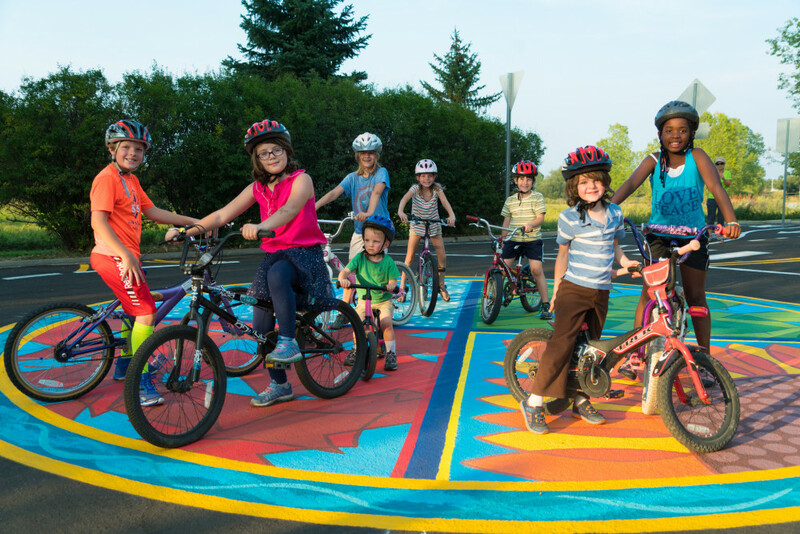 The City’s 2011 Bicycle Safety Education Plan and 2014 Bicycle Master Plan recommended the City construct a bicycle and pedestrian safety town, now called Walk & Wheel Skills Hub. The Walk & Wheel Skills Hub is a “miniature city,” complete with streets, bike lanes, and traffic signs. 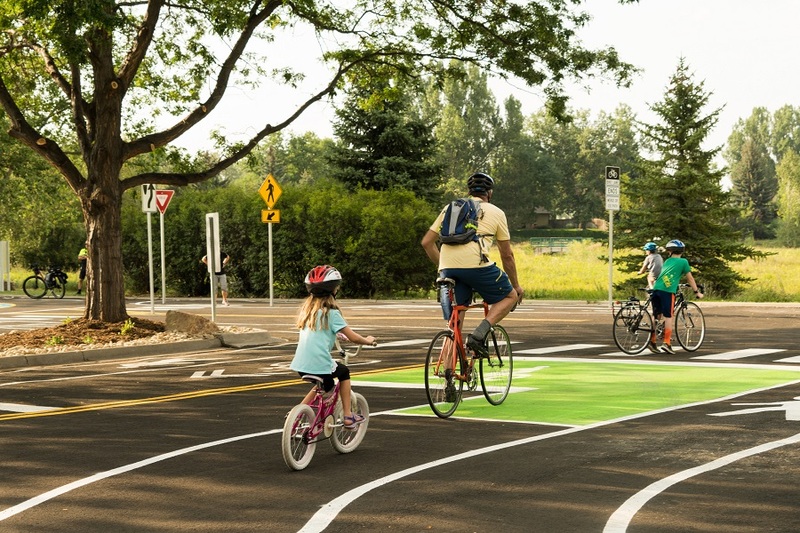 The Skills Hub is designed to provide a safe bicycling and walking learning environment for people of all ages and abilities, with the goal of improving safety and increasing bicycling and walking. 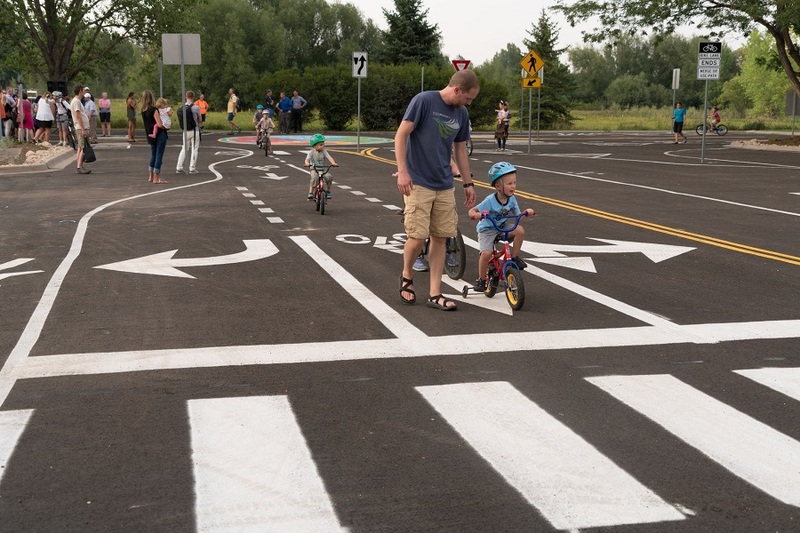 Families, adults, and children can all use the facility to practice safe cycling and walking skills as well as participate in classes hosted by the City and other community partners. In 2015/2016 Budget, the City allocated funding to support this project. The project is currently under construction and will launch on Wednesday, August 30. 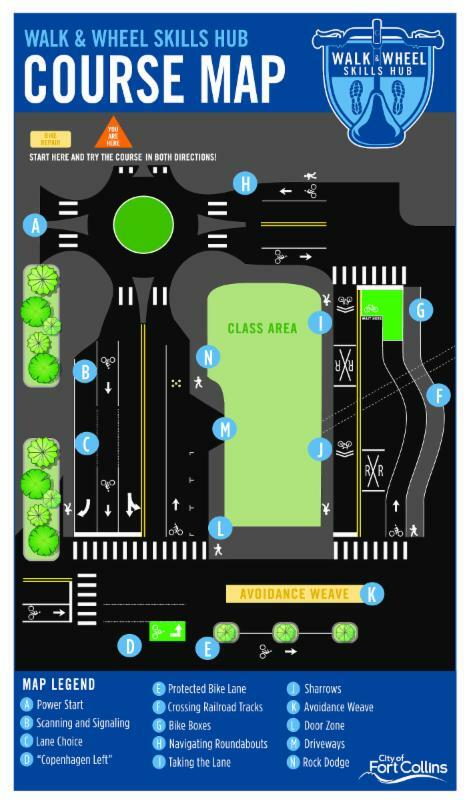 In 2015 and 2016, City staff worked to identify a location for the Skills Hub that would be centrally located and accessible by bicycle, close to schools, and within the project budget. The Skills Hub is located in the parking lot at Drake at Dunbar, just off the Spring Creek Trail. This parking lot is owned by Summitview Church and currently leased to the City for the purposes of this public facility. The partnership with Summitview Church has been instrumental to bringing this project to fruition. At the Skills Hub, you will also find bike racks, seating, a bike fix-it stand, and instructional signage. 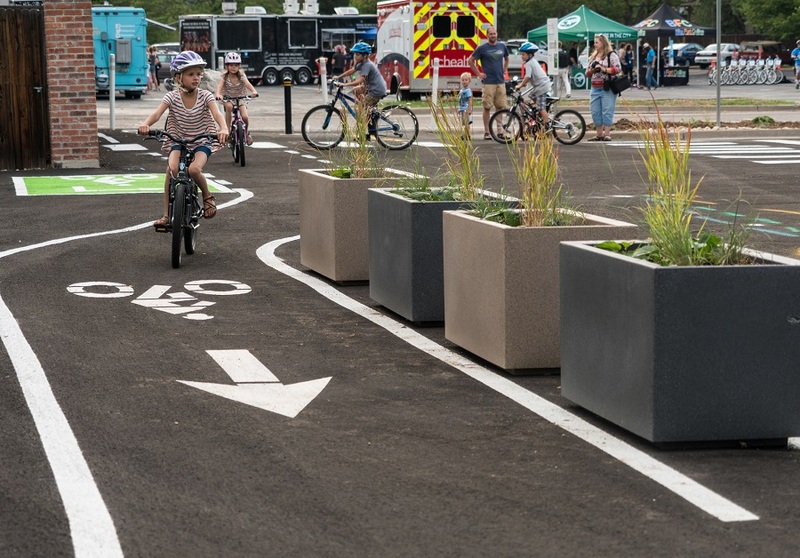 Further, the Hub brings together other innovative demonstrations, partnerships and Fort Collins initiatives, including Nature in the City landscaping and Art in Public Places projects.